8 years of sports, politics, and life! 1. I liked the set-up of the debate. It was at the Thomas and Mack Center in Las Vegas, Nevada. The center was nice because there was a lot of lighting, there was red velvet carpet on the floor, and the seats were cushioned and very comfortable. 2. Before the debate I got to meet some famous people. First, I met a famous basketball player. His name was Kareem Abdul-Jabaar. 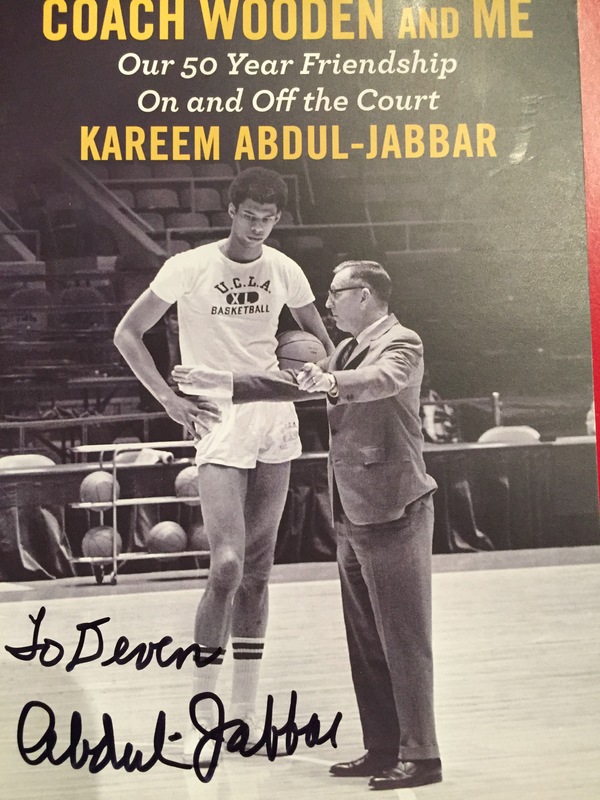 He played in the NBA first for the Milwaukee Bu cks. Then he got traded to the Los Angeles Lakers. He gave me a post card of his new book that is coming out on June 6th, 2017. His college was UCLA and he had a famous coach named John Wooden. The next person I met was Jesse Jackson. He is a civil rights leader and use to work for Martin Luther King, Jr.
3. 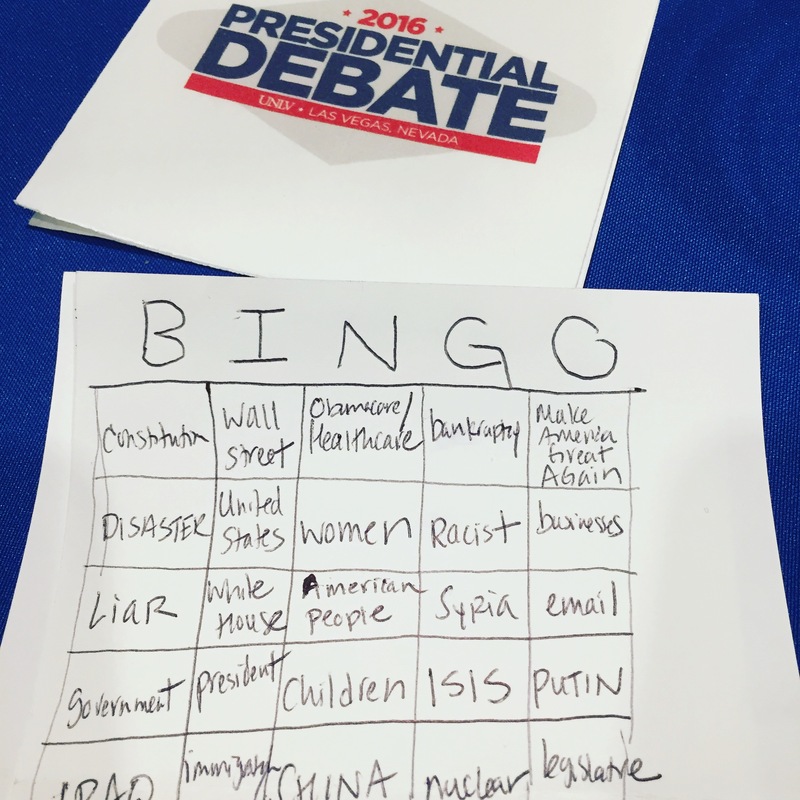 During the debate, my Aunt created a Bingo game to help me pay attention to the debate. 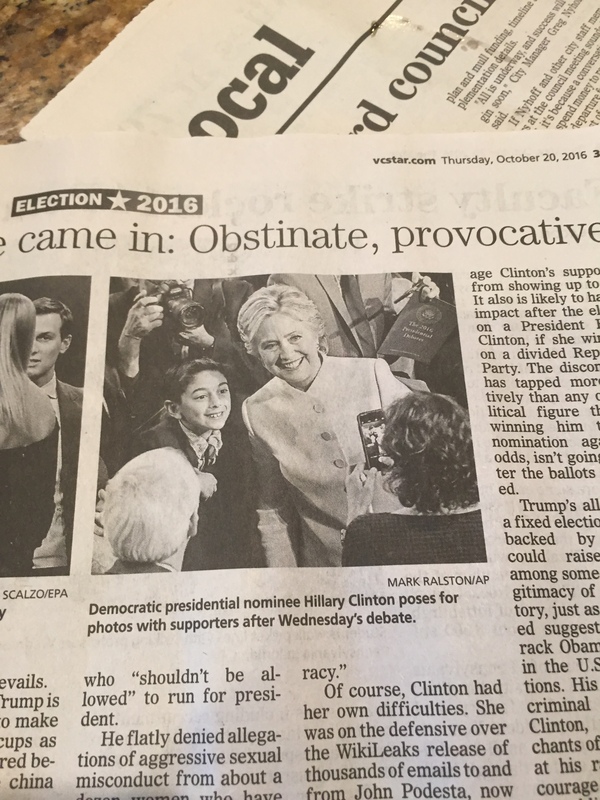 It had words that both presidential candidates might say. Some of the words were: Constitution, White House, and President/Presidential. I was able to get BINGO twice. 4. 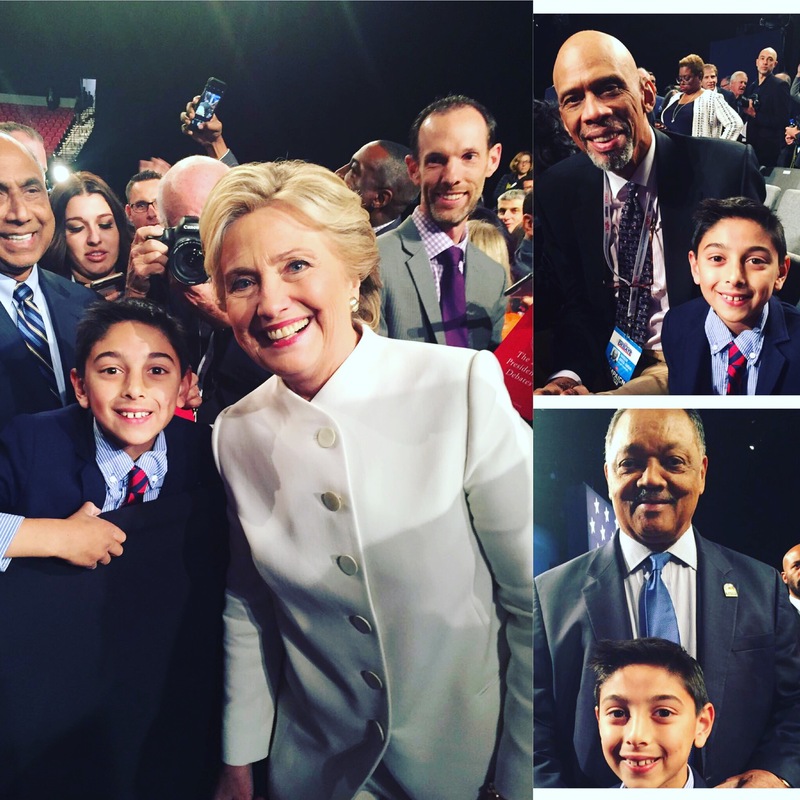 After the debate, I got to meet …HILLARY CLINTON! I was all the way in the back and my dad did not think that I could go to the front to see her. There was a HUGE crowd in front of us! I asked him if I could try and took his phone in case I could get a picture. I ducked under people and had to shove myself into the crowd to get up there. I finally did and asked Mrs. Clinton if I could take a selfie. Mrs. Clinton said “Do you know how to take a selfie?” I tried to take a picture but my dad had updated his phone so I could not find the button. Then, someone said they would take the picture for us! She is a presidential candidate for the Democratic party. Her husband was the president from 1993-2001. Her daughter is Chelsea Clinton and she has 2 grandkids. Also, if she becomes president she will be the first female president of the United States of America!! !